If you are planning on offshoring your business either permanently, or in a bid to expand into an international market, the most beneficial thing you can do is outline a comprehensive plan. A business and marketing plan detailing global expansion is complicated. You’ll need to understand how and where locals spend their time socially, the destination’s culture, and your new competitors. Furthermore, you will need to strategise what actions you need to take and the cost associated. If you are a small - medium enterprise, this resource gives a brief overview of the challenges you may face with an exploratory case study. How will expansion impact your business? Analysis tools are a fantastic way to help predict the factors that will impact you moving overseas and help you to clearly detail your opportunities to take action. Political climate: What are the views of the political party in charge and how will this affect you? Economic factors: Does the economy support the growth of businesses, or will it restrict your ability to meet objectives? Social trends: Are there any social trends that may impact you? I.e in Germany 65% of waste is recycled. Does your business have a strategy for waste management? Technological developments: Is there any technology that will either support your development or impact your ability to compete? Legal environment: If you are moving overseas, are there any laws that will impact the way you produce and sell your product/service? Environmental: Do you need to consider any geographical restrictions, i.e would an area with high rainfall be the best place to expand your gelato business? Many of the impacts that affect your business move can be planned for, and when managed correctly, you can establish your international presence before trading starts, helping you to compete. There are many things to consider when moving your international business, and community integration is vital to the success of your expansion. Whilst business movers and registered offshore companies exist to support you, the only way to understand the environment you’re entering is to experience it first hand. Attending local events prior to your global expansion is a great way to get a feel for what the future will be like living and operating in that area. Community networking and visiting local businesses can open up many benefits for you. Relationship building is important for international businesses due to the differences in societies, language, humour and so on. If you are considering a move to Europe, the European Commission provide a useful tool for finding events that serve as a great starting point to meet the right people. These issues won’t just affect you, but also the wellbeing of your employees and their ability to fulfil their job. With careful planning and research, you can understand the strengths and weaknesses of a location and how this would impact your business move. When you are ready to become an international business and go global, you’ll need to start considering how your operating costs will vary for each destination. Business expansion into a country with low operating costs is an attractive prospect as it allows you to commit more resources towards development and growth. When moving your business overseas it is important to understand the skills of the available workforce. Different countries have varying educational systems, and whilst some areas are talented in sectors such as finance, they may be lacking in agricultural engineers. Even if you are migrating staff with you, it is important to consider how you will be able to access the talent you need for long-term objectives. Take a look at The World’s Top Countries For High-Skilled Employment here. Due to the complexities of moving your company abroad, you can find teams dedicated to supporting your offshore setup. These organisations will be able to provide you with valuable insights and expertise on your new location, taking a lot of the hassle off of your hands. Dubbed ‘business movers’, these companies will charge you a premium for handling and advising you on what processes to follow. It’s worth taking the time to understand what they offer and if you deem the cost of their service to be worth the time saved. DT Moving, a UK based company, have been offering this service since 1870 and are a great source of information on this process. The UK Government also require you to register as an overseas company, you can find their pricing, application forms and contact information here. In the wake of Brexit, 1 in 5 UK businesses are considering whether to relocate their operations to Europe or to retain a presence in the UK. If you are in this position, you will need to understand the implications of Brexit for you, your trading sector and your long-term business objectives. KPMG offer Brexit insights, updates and advice for businesses unsure on how to navigate this political change, but if you’d prefer to get this information straight from the government, you can find everything you need here. As is the nature of the business world, opportunities and practices are constantly changing. With this in mind, it’s a smart idea to keep a presence in the UK, even if you plan on moving offshore permanently. UK Postbox offer a service perfect for any company in this situation and provide flexible solutions for staying registered in the UK at a low cost. 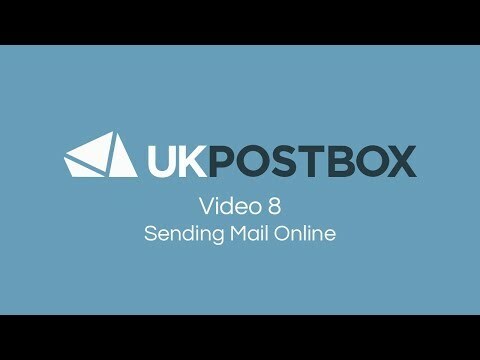 An added bonus with this service is that you will be able to access, manage and action all of your UK mail from anywhere in the world, on any device. This enables you to move out of the UK but still keep on top of any important mail, without paying for international postage. Learn more about what our addresses can be used for.